Pictured are Greenville Schools Foundation grant recipients and members of the foundation board of directors. 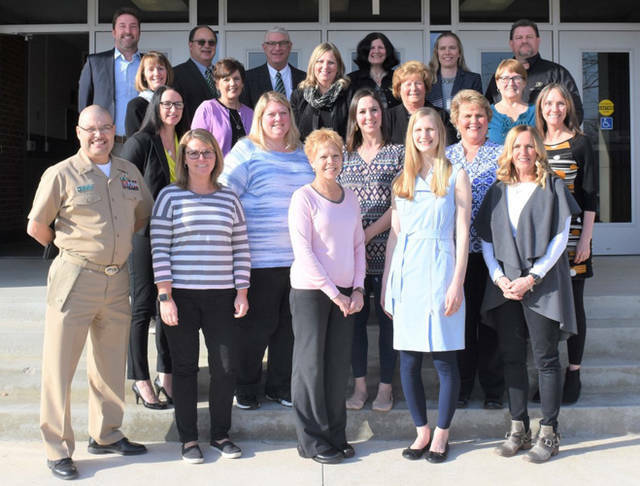 GREENVILLE – The Greenville Schools Foundation announced the recipients of grants for the 2018-19 school year. Awards totaling more than $8,600 were made to assist educators by providing funds to implement or continue programs that help make Greenville the leader in educational offerings, student performance and community involvement, and to maximize the potential of each and every student. Recipients are Jennifer Yohey, Stephen Eldred, Scott Eberwine, Danesa Borgerding, Julie Brewer, Laura Bemus, Heather Crews, Amy Shilt, Wendi Gibson, Kristy Godown, Tammie Riffle, Ken Neff, Heather Heiser, Janelle Rinderle, Bart Schmitz, Holly Gann, Chad Lemons, Jerrod Newland, Lee Gehret, David Smith and Susan Ahrens.